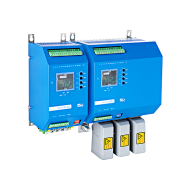 The new soft starters VersiStart II and VersiStart III with a particularly compact housing unit and optimised start characteristics with high-quality protective functions. 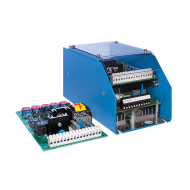 Different performances and construction sizes are provided for individual applications. 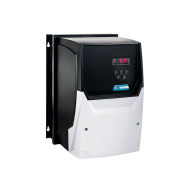 With VersiStart III (9 - 45A), PETER electronic offers a new 3-phase-controlled soft starter combining optimum starting characteristics with valuable protective functions in a particularly compact housing. 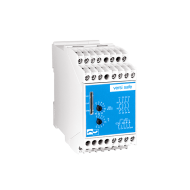 So, for the lower rating range, the soft starter needs a housing only about half the size as compared with predecessor models from the PETER electronic product portfolio. 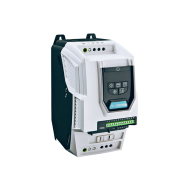 In addition, the soft starter is characterized by its high degree of flexibility, for VersiStart III (9 - 45A) may optionally be operated with current limitation or time voltage ramp – so far unique in this device category. 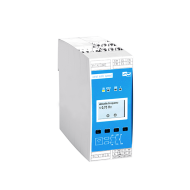 Above all, with its thermal device monitoring feature, the compact soft starter is able to provide extensive motor protection functions. 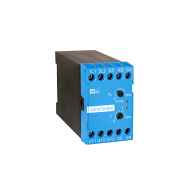 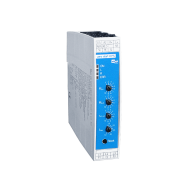 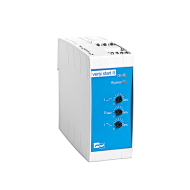 VersiStart III (9 - 45A) soft starters are designed for all difficult starting situations and for optimum deceleration of electric motors. 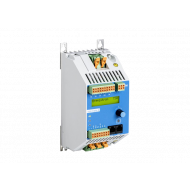 Fields of application include, for instance, door and gate drives, pumps, fans, as well as packaging machines or conveying and transportation systems. 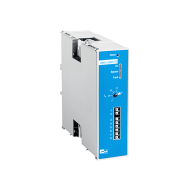 The possible current and torque reduction provides the ideal precondition for flexible application and less wear of your equipment. 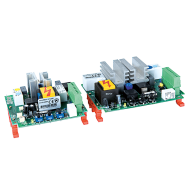 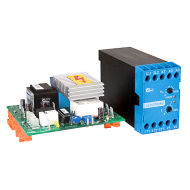 With the built-in microcontroller, the compact soft starter can be individually configured both for acceleration and deceleration – entry of current limits is possible, too. 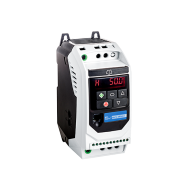 This makes the device highly flexible and provides ideal characteristics in all phases of operation – application-oriented, power-saving, and easy on your equipment. 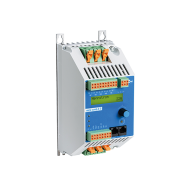 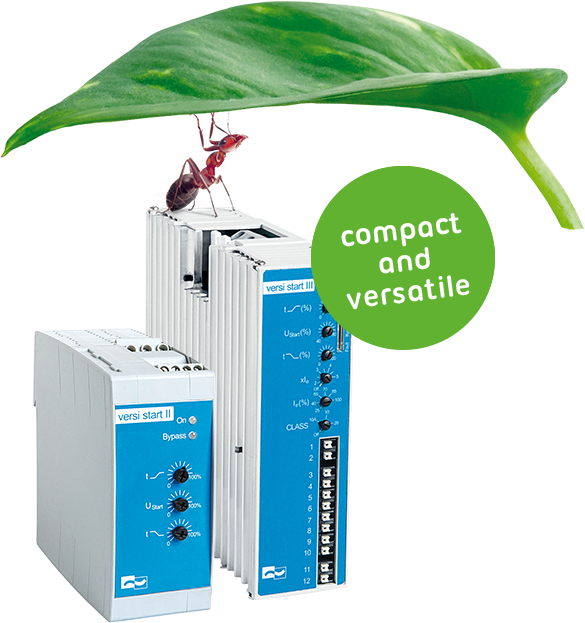 One of the essential advantages VersiStart III (9 - 45A) soft starters offer is their comprehensive functions for motor protection – and thus for the protection of your investment, too. 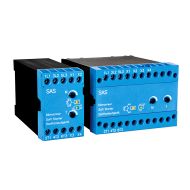 This also includes thermal overload protection which the soft starter provides on the basis of an integrated current sensor. 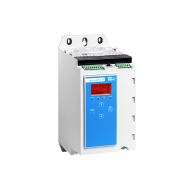 Continuous calculations of thermal images ensure that, in the event of overload, the circuit is interrupted and the connected motor is automatically switched off. 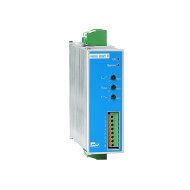 In addition, the soft starter features a range of further useful additional and protective functions: So, it is, for example, also possible to diagnose undervoltages in the electronic supply as well as overtemperature or phase and trigger faults. 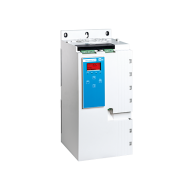 Despite extensive technical features and performance characteristics, the 3-phase soft starter VersiStart III (9 - 45A) requires only a compact housing of merely 45/52,5 x 147 x 158 mm (width/height/depth) in size. 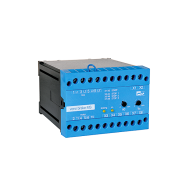 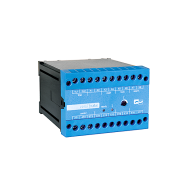 DIN rail mounting is possible and allows the unit to be integrated into existing switchgear cabinets – easily and with low investment cost. 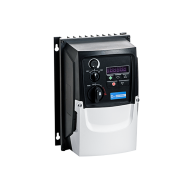 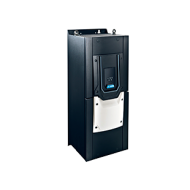 PETER electronic's new soft starter is the result of consistent further development of the VersiStart III product family and, in the lower rating range from 4 to 22 kW, it is a space-saving alternative to the significantly larger 3-phase soft starters MINISTART (1.5 - 11kW) or DAS-T (7.5 - 55kW) – but with a higher flexibility of use.